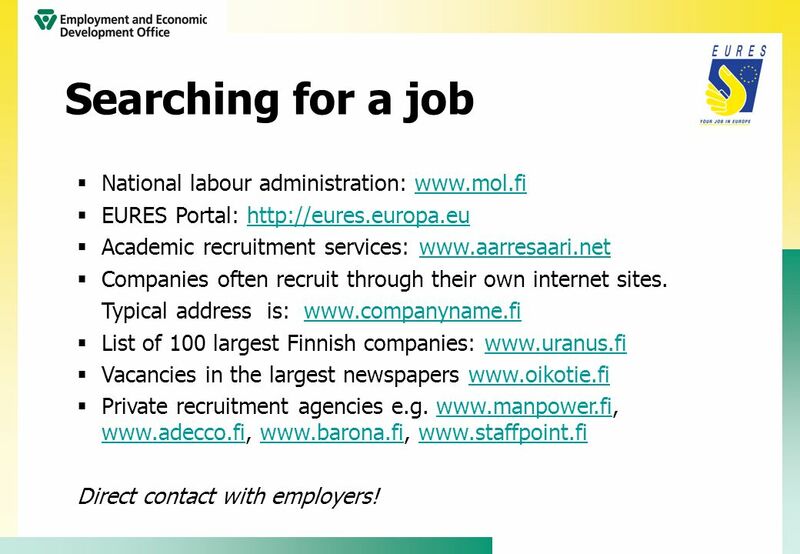 National labour administration: EURES Portal: Academic recruitment services: Companies often recruit through their own internet sites. 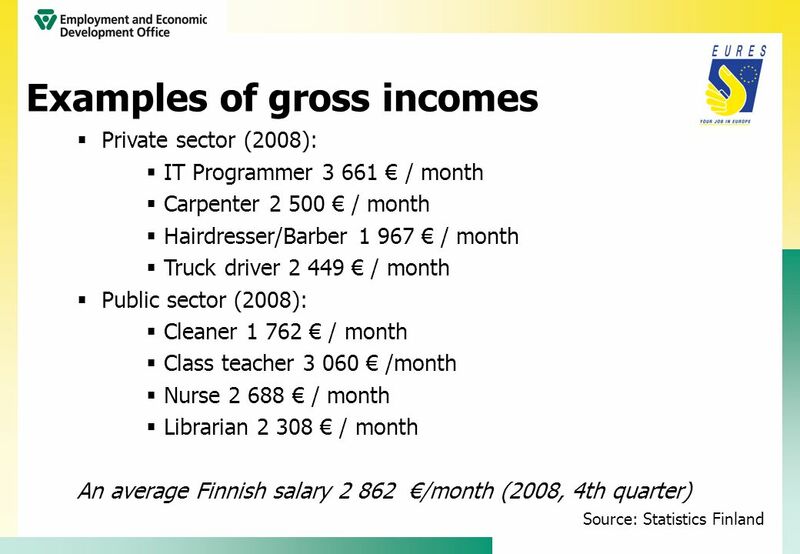 Typical address is: List of 100 largest Finnish companies: Vacancies in the largest newspapers Private recruitment agencies e.g Direct contact with employers! 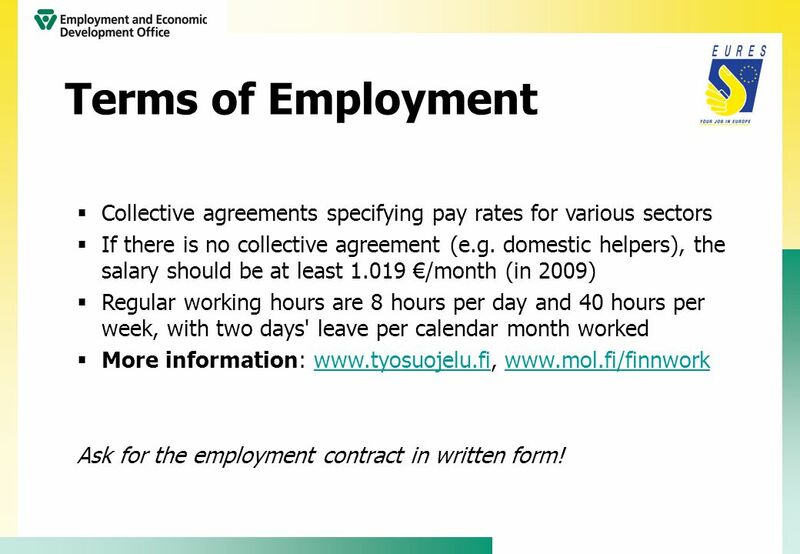 20 Terms of Employment Collective agreements specifying pay rates for various sectors If there is no collective agreement (e.g. 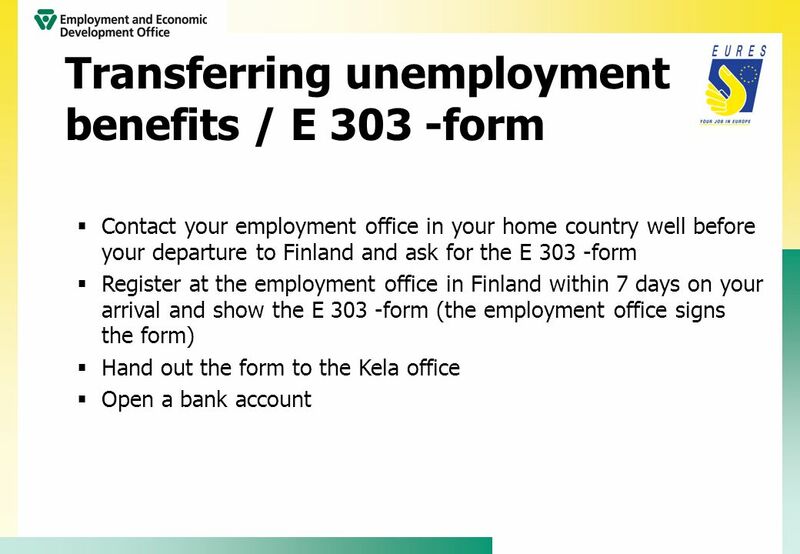 domestic helpers), the salary should be at least €/month (in 2009) Regular working hours are 8 hours per day and 40 hours per week, with two days' leave per calendar month worked More information: Ask for the employment contract in written form! 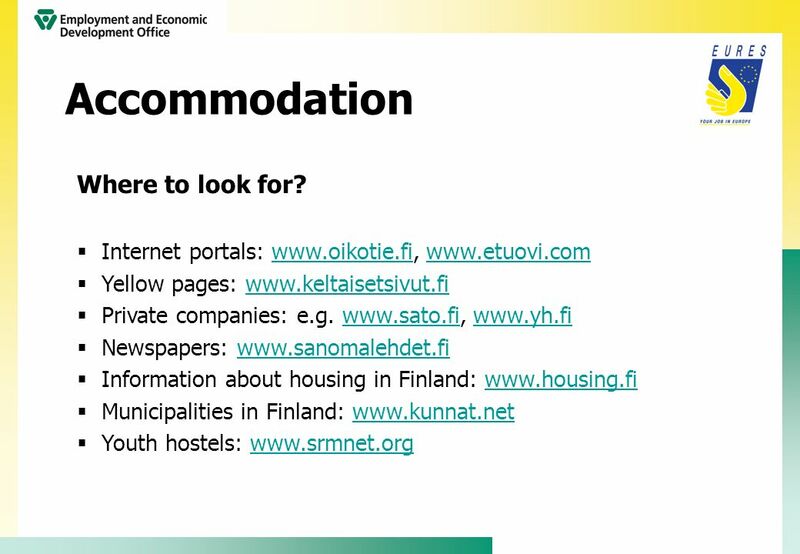 23 Accommodation Where to look for? 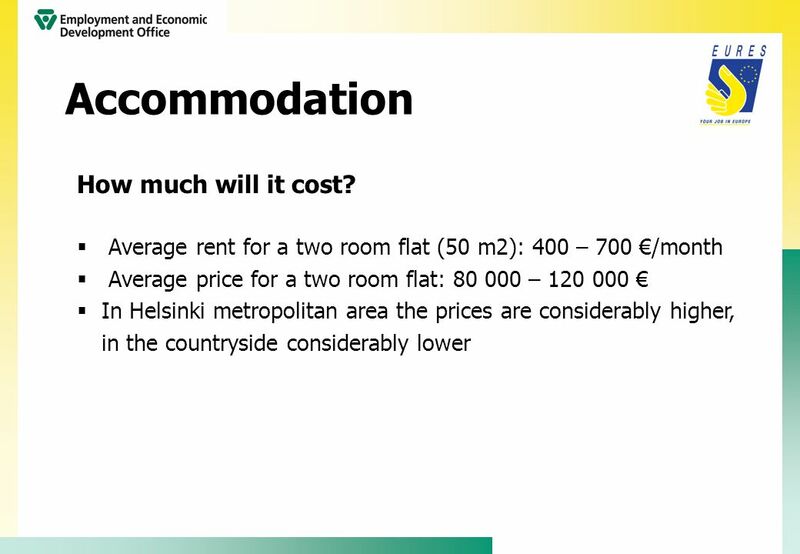 24 Accommodation How much will it cost? 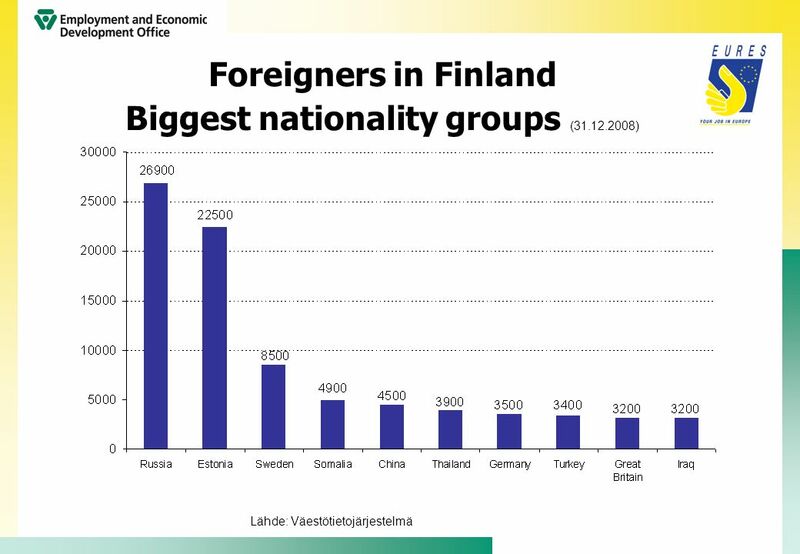 25 Further information: Welcome to Finland! 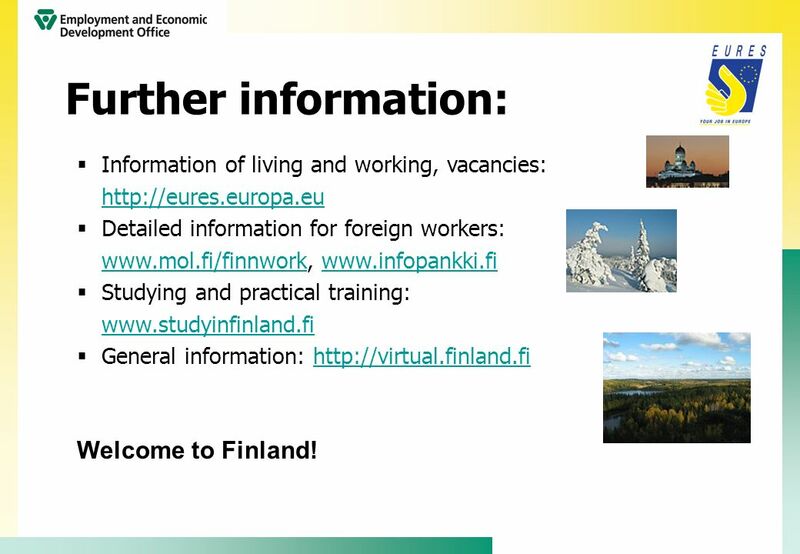 Information of living and working, vacancies: Detailed information for foreign workers: Studying and practical training: General information: Welcome to Finland! 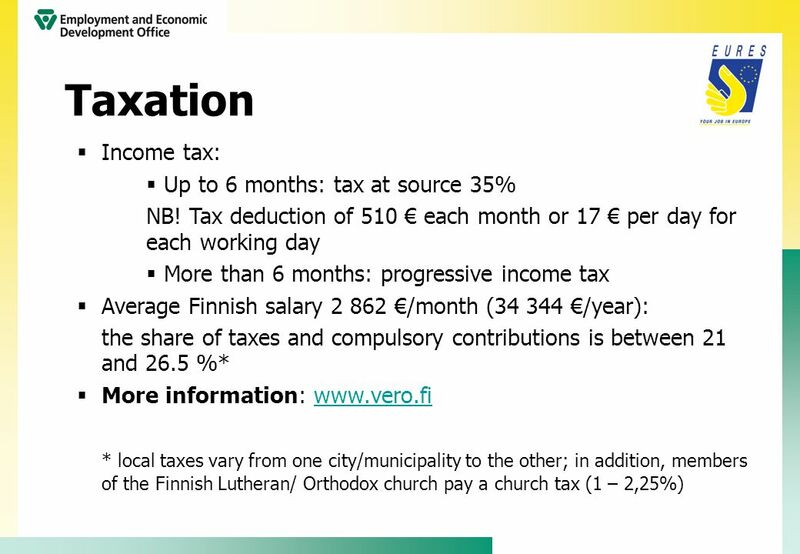 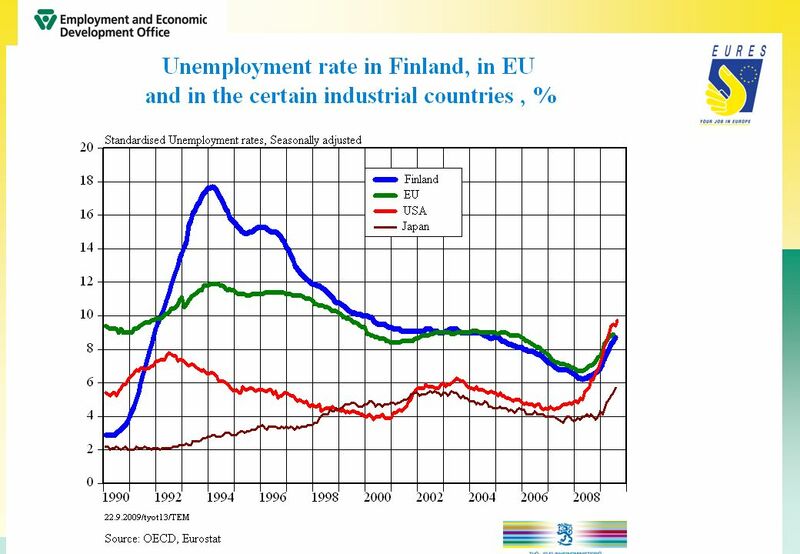 Download ppt "Living and Working in Finland"
The Federation of Salaried Employees Pardia. 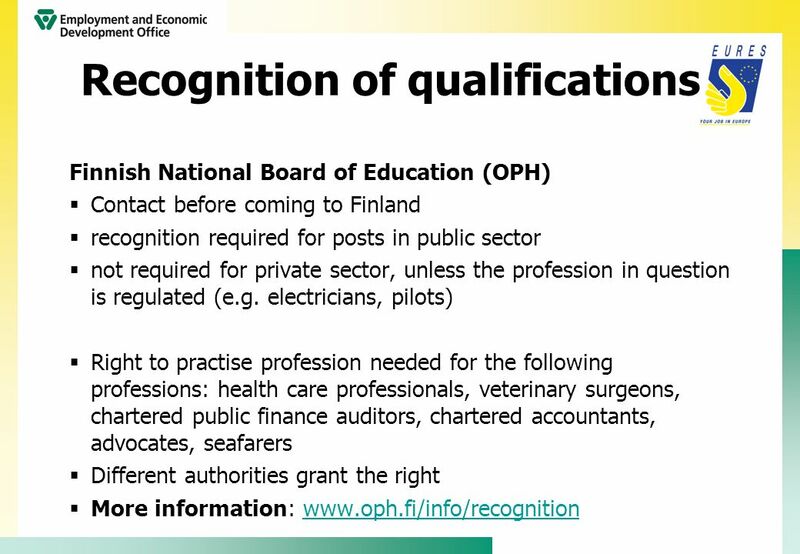 Pardia – the Federation of Salaried Employees central organisation for negotiation, agreements and the protection. 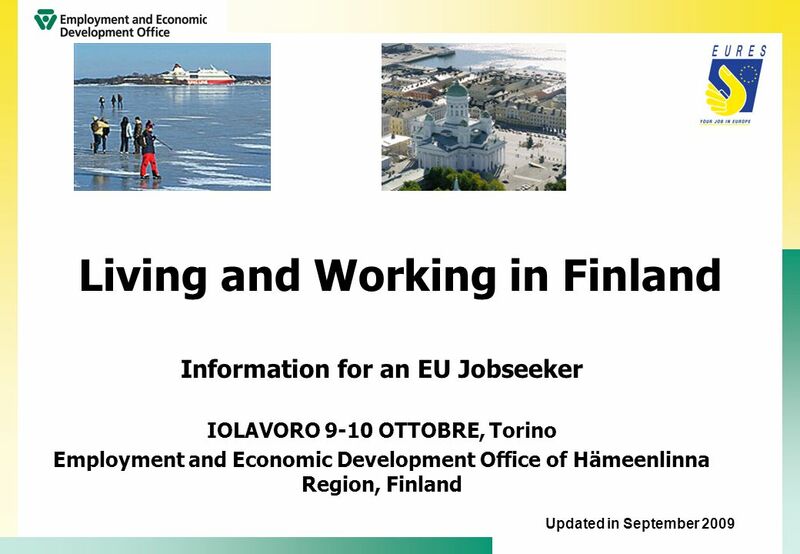 EURES: The European Employment Service. 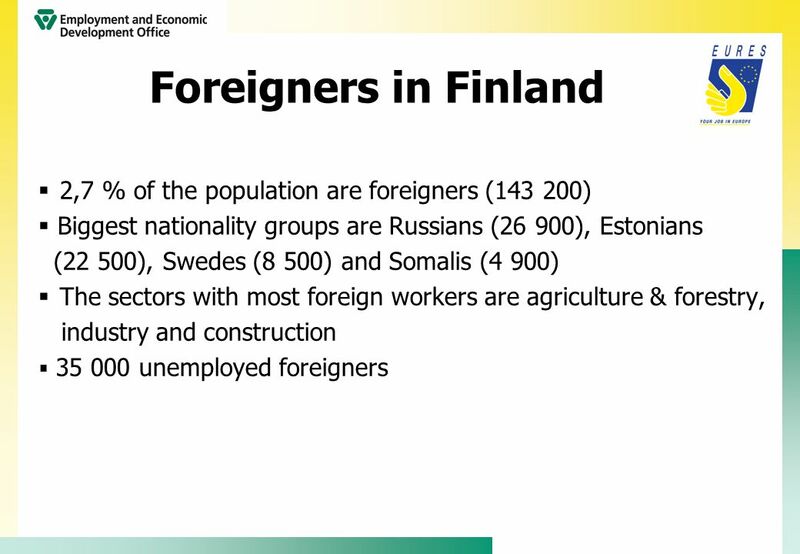 Working abroad An opportunity to: - meet new people - improve language and other skills - experience new cultures. 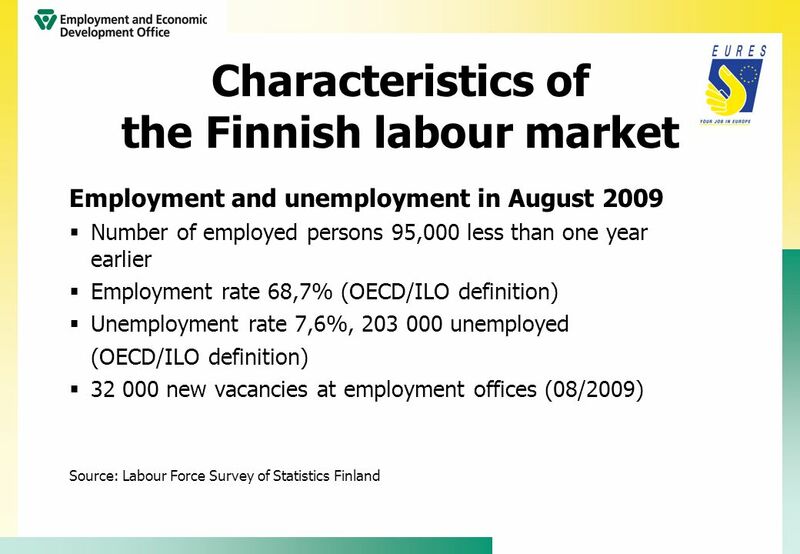 Labour market in Estonia Jyväskylä, september 2009 Kaire Cocker EURES adviser Estonian Unemployment Insurance Fund. 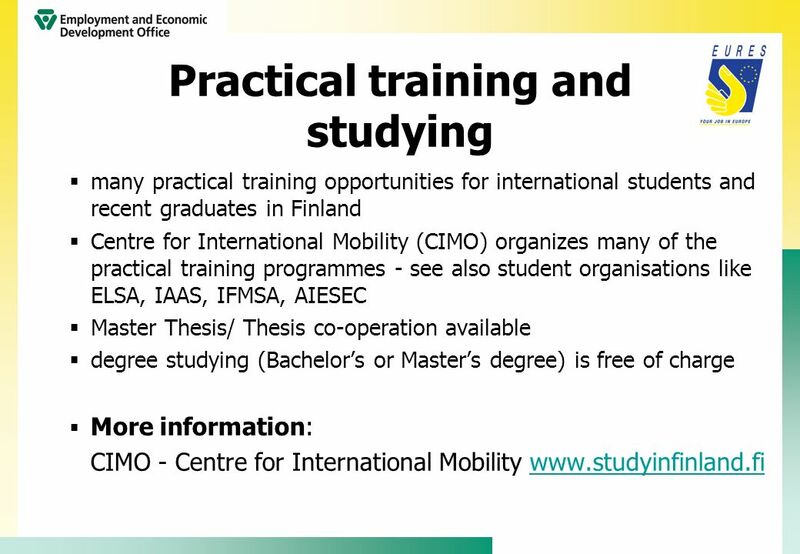 Internship Opportunities 2009 Working in Finland Outi Isotalo, Jaana Mutanen CIMO International Trainee Exchanges. 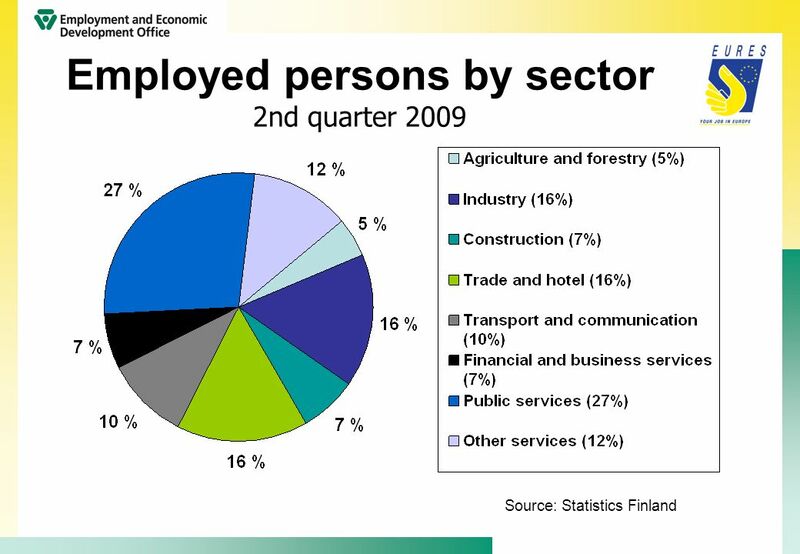 Production of Statistics on Informal Sector Employment and Informal Employment in Namibia By Panduleni C Kali. 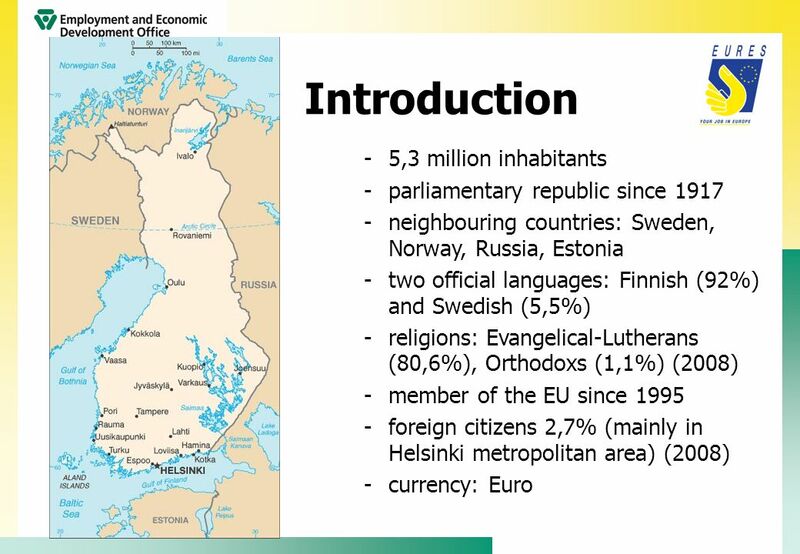 Iceland square km inhabitants 63% living in the capital area (Reykjavik+6 connected towns / municipalities) 74% living on the South- west. 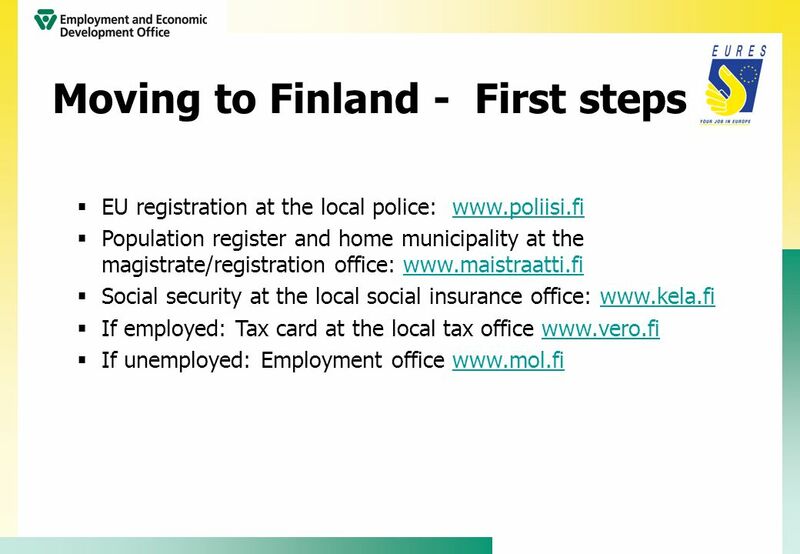 Cooperation of the Baltic PES for Labour Market Development Efficient Integration of EURES Services in the Labour Market Board Marta Traks, EURES manager. 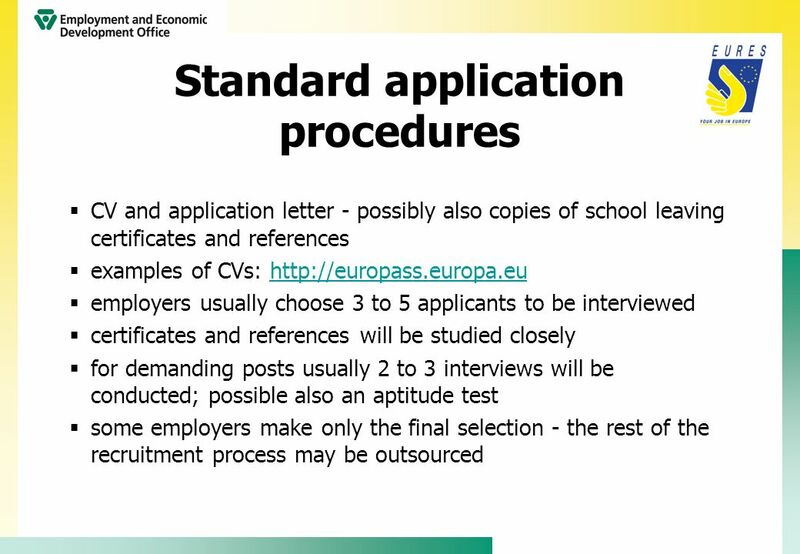 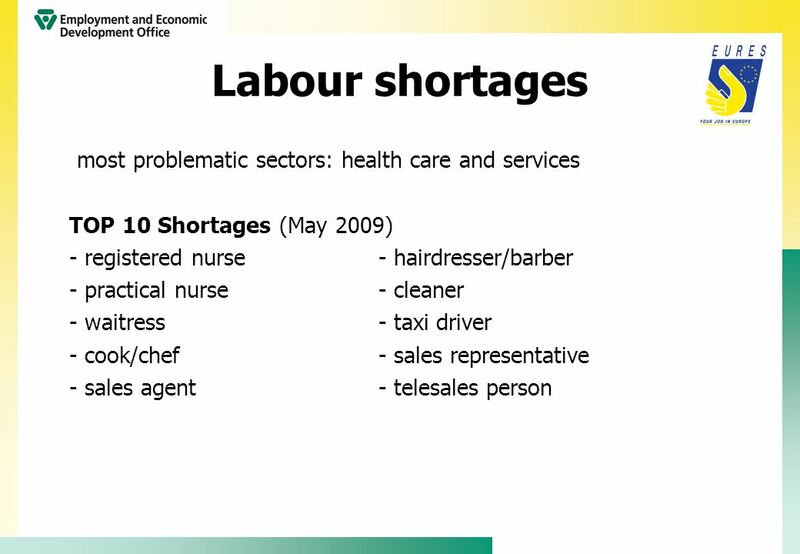 EURES: The European Employment Service Joe Bennett, EURES N.E.England www.jobcentreplus.gov.uk.